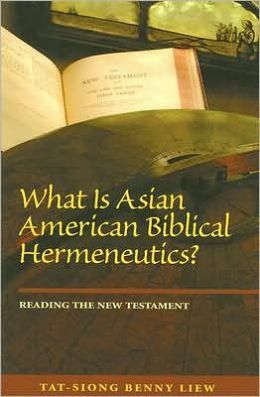 Home › (B) Book Review › What Is Asian American Biblical Hermeneutics? What Is Asian American Biblical Hermeneutics? In other words, “how” of Asian American biblical hermeneutics is grasped, rather than “what” is given, in one’s reading of the works of fellow Asian American biblical scholars. Asian American hermeneutics like other academic disciplines is in the process of becoming, not just being. For this enterprise, Liew employs three major theoretic approaches to the biblical text – (1) Asian American studies; (2) Postcolonial theory and studies; (3) Other minority communities and scholarships – as he writes subsequent chapters. It is not only (Asian American) biblical scholars but also Asians who will be benefited by Liew’s venture for Asian American biblical hermeneutics. These Asian Americans in their new exile, their loss of home country, and their experience of post-colonialism, discrimination, and marginalization, they will find Liew’s book intriguing and even heart moving, because they may find much in common with knowledge and experiences that Liew offers in his book. ‹ Korean Film: “Kundo: The Age of the Rampant” Released in the U.S.